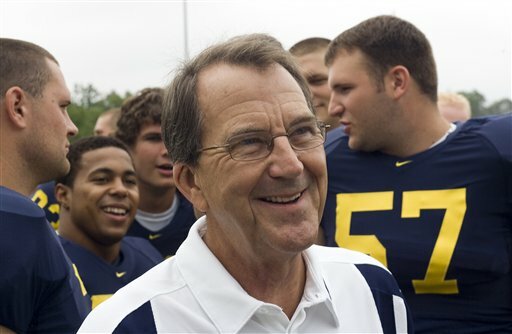 Lloyd Carr retired from coaching in January of 2008. After his 13 seasons as head coach, and 15 seasons prior to that as an assistant, he accepted a position within the athletic department as a associate athletic director. As of September 1, after 30 years of dedicated service, he will officially retire his position with the department, and no longer work for the University of Michigan. “I am thankful for the wonderful opportunity to assist two great coaches here in Bo Schembechler and Gary Moeller and I will always appreciate Joe Roberson’s decision to name me the head coach in 1995,” said Carr. “I am also appreciative for those I worked with and for all the great friendships I have developed. No mention in the release about why he's officially retiring now and/or what spurred this decision. Maybe he just wants to do his own thing and not focus on sports as much anymore? Who knows? 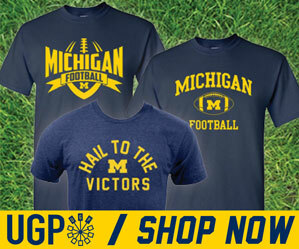 As most Michigan fans, I wonder about most personnel decisions within the department these days. 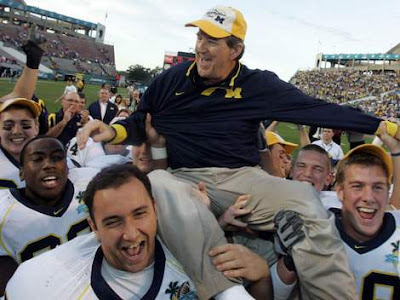 Either way, Lloyd was a great coach for Michigan. We have mentioned many times on this blog about how much we have missed him and how much his legacy means to not only the current coaching staff, but all coaching staffs to come. We will continue to miss you Lloyd. Enjoy your retirement...you've earned it!